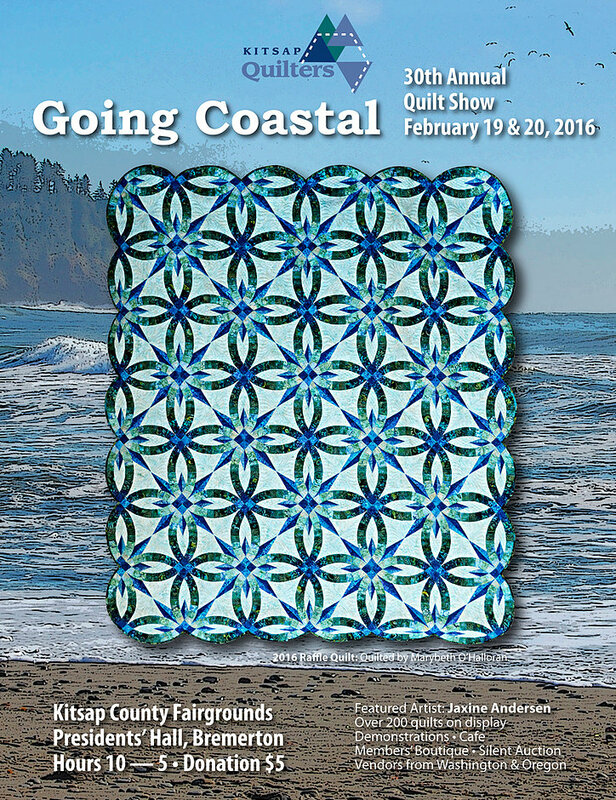 Our 30th annual Kitsap Quilters’ Guild show will be held on February 19th and 20th at the Kitsap County Fairgrounds in East Bremerton. Typically we display 200+ quilts and it’s well worth coming to view them. 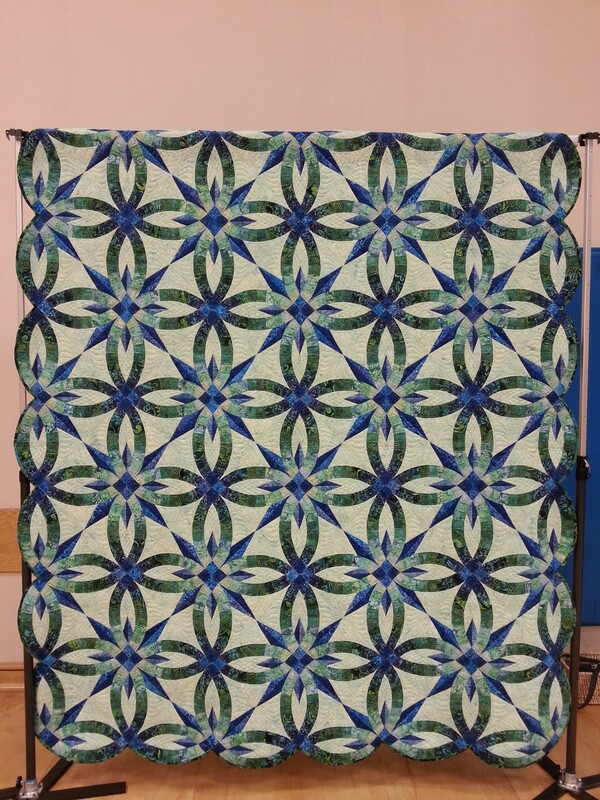 Our guild members are talented and the quilts range all the way from traditional through to modern. We always show case the work of one guild member in a special exhibit and this year it will be Jaxine Anderson. Here’s our beautiful raffle quilt, pieced by guild members and machine quilted by Marybeth O’Halloran. The pattern is by Judy Niemeyer. 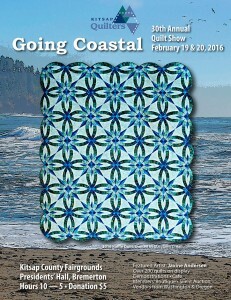 The quilt will be displayed at the show where you will have the opportunity to purchase tickets for the raffle. Here’s a detailed shot showing the exquisite quilting. 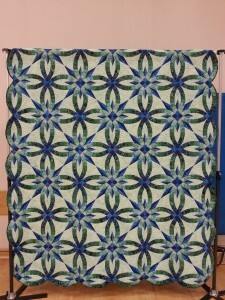 The drawing for the raffle will be at our quilt guild meeting on February 23rd. 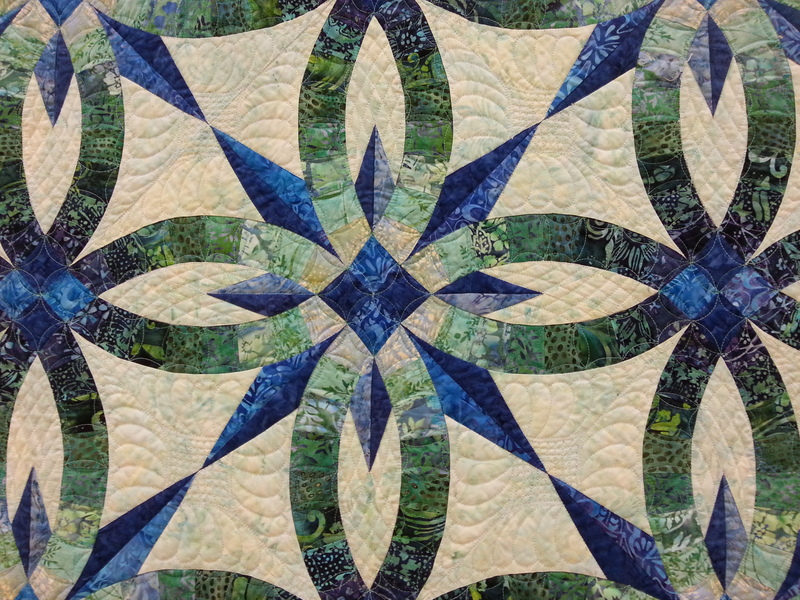 This entry was posted in Quilt Shows and tagged quilts by Maggie Ball. Bookmark the permalink. Thank you. I’m so glad that you returned to quilting and that you continue to enjoy your passion. That’s wonderful. May your life continue to be rich and satisfying, and I wish you all the best. The quilt is beautiful is there some where that I can purchase the pattern? This is a Judy Niemeyer pattern. Try visiting her website and contacting her directly. All the best in your quest. where can I purchase this pattern. Try looking up the designers on the internet, or ask at your local quilt shop. Hope you find it.